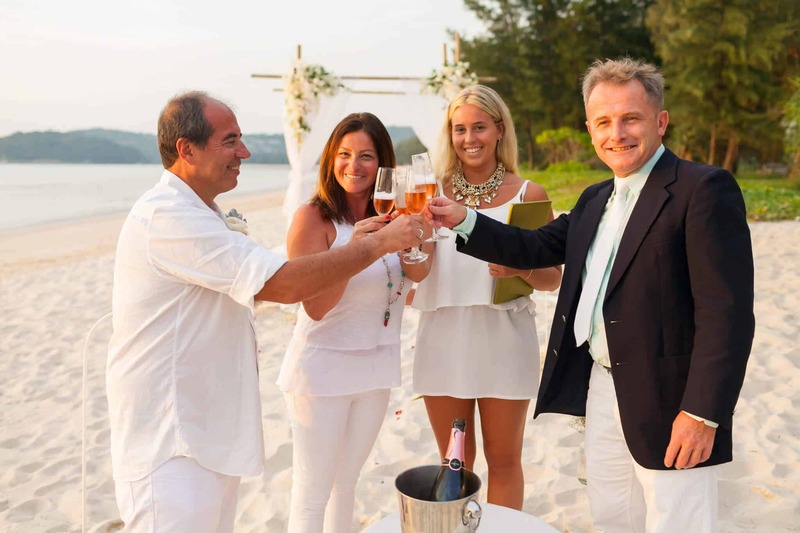 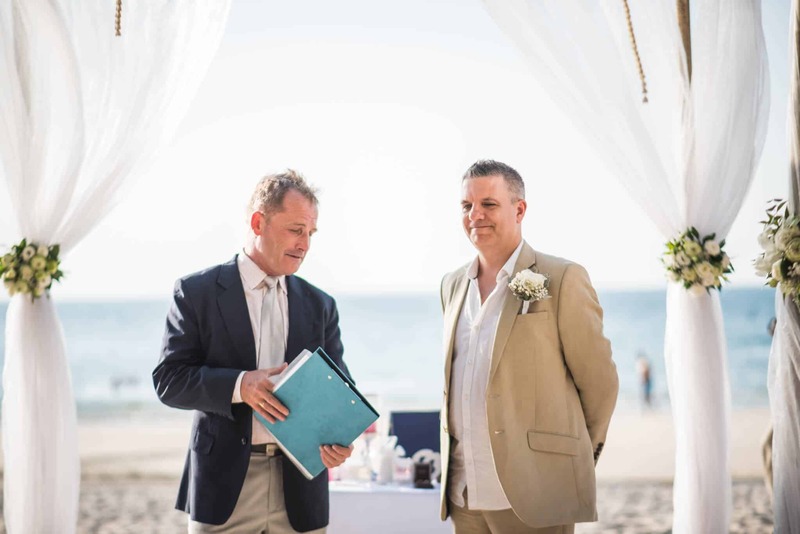 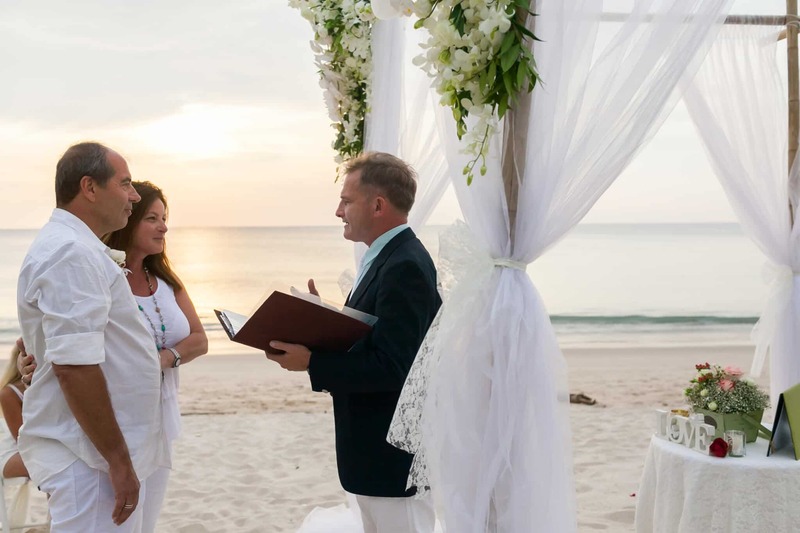 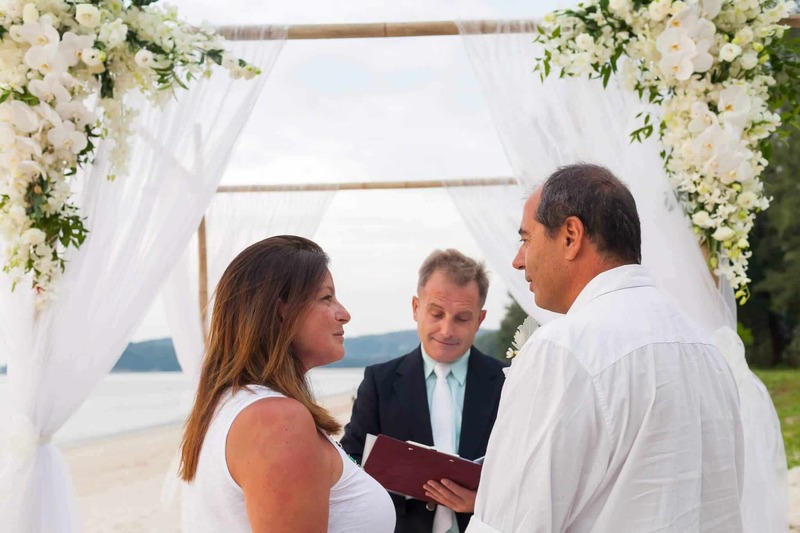 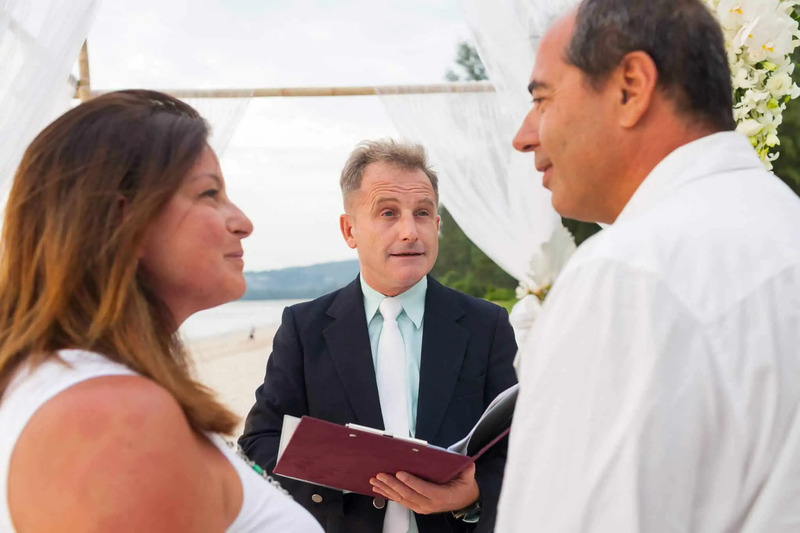 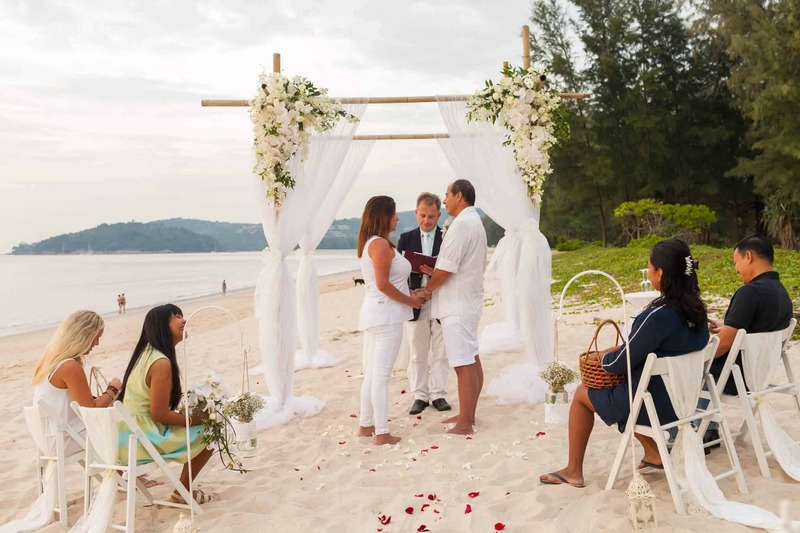 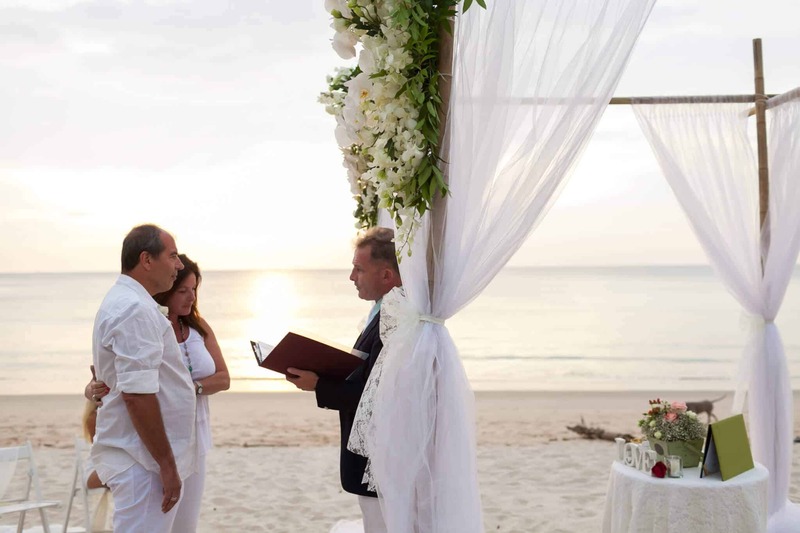 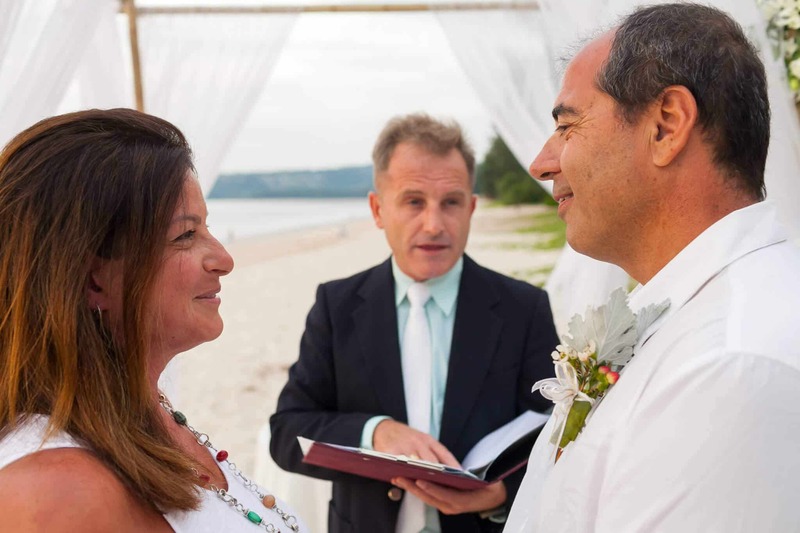 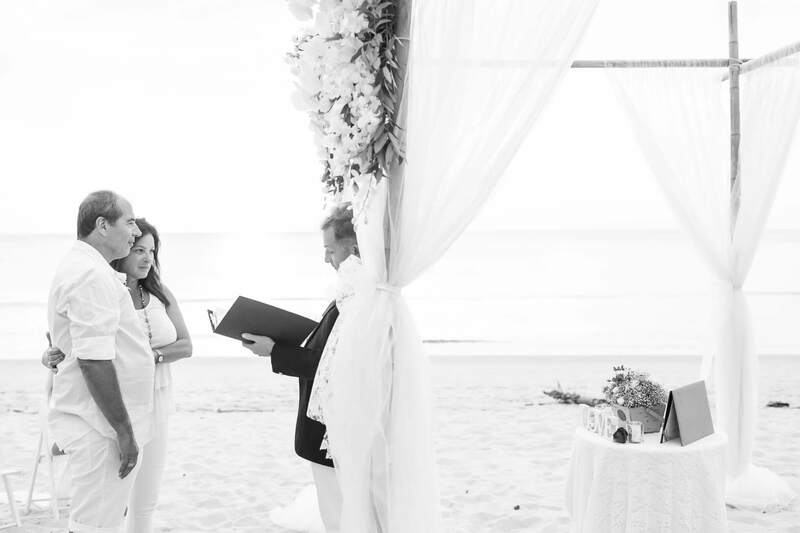 As a Beach Marriage Celebrant, each event is totally different. 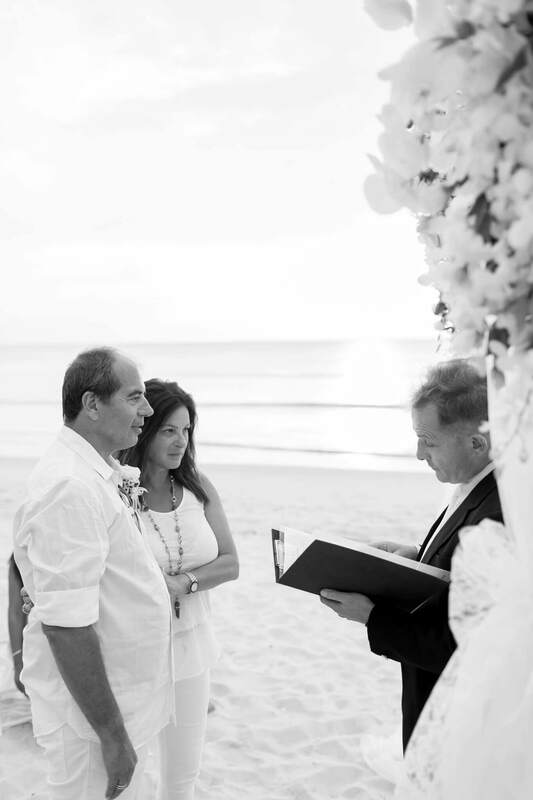 Julio and Mariel had arranged this beautiful Beach Wedding in Phuket without the knowledge of the Bride to be Susana. 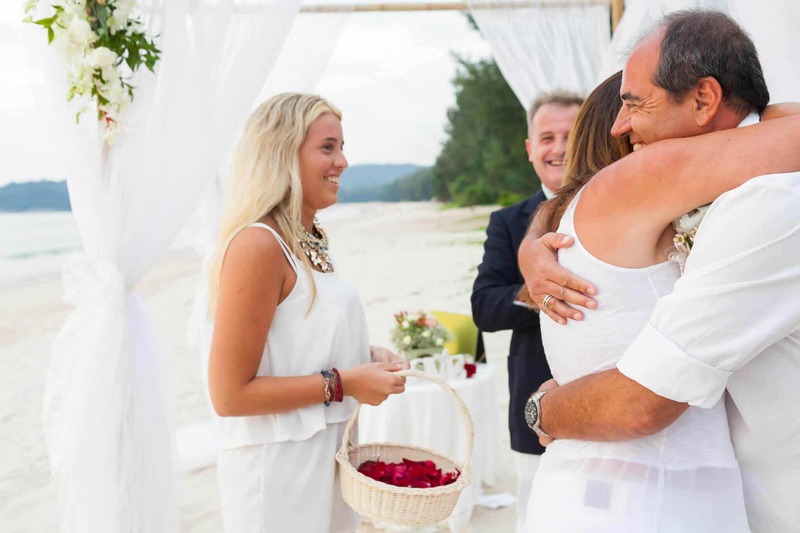 Up to the point of arriving at Layan beach, Susana was still not aware of the wonderful surprise ahead. 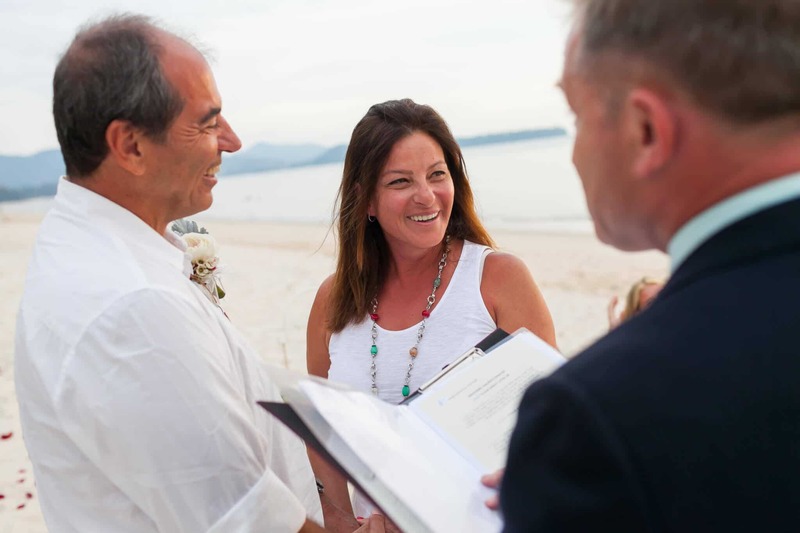 When Susana arrived she took it in all her stride and eventually understood when she was handed her beautiful Wedding Bouquet. 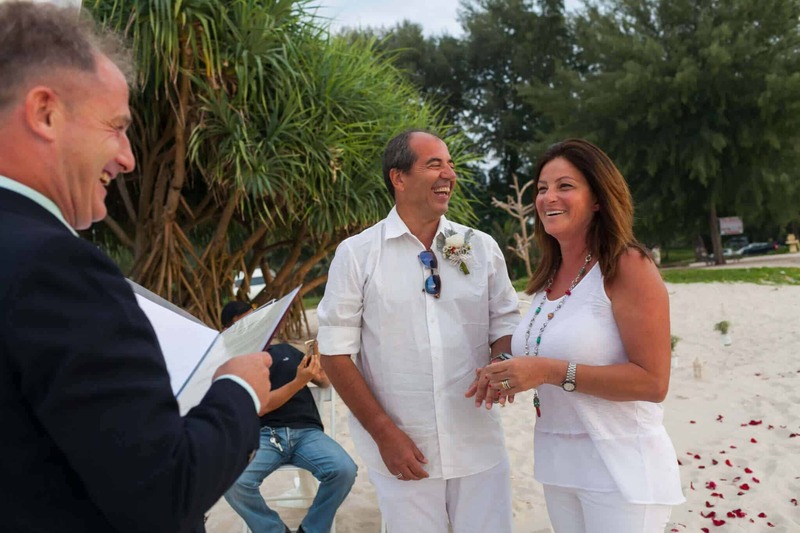 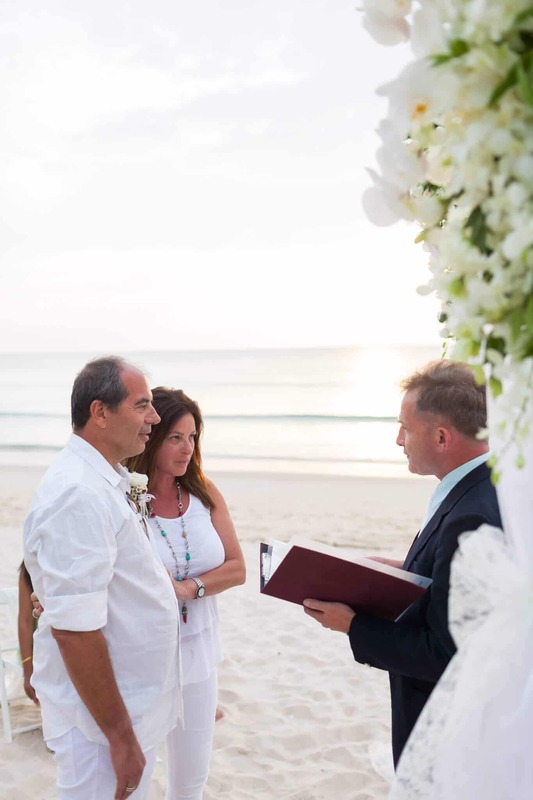 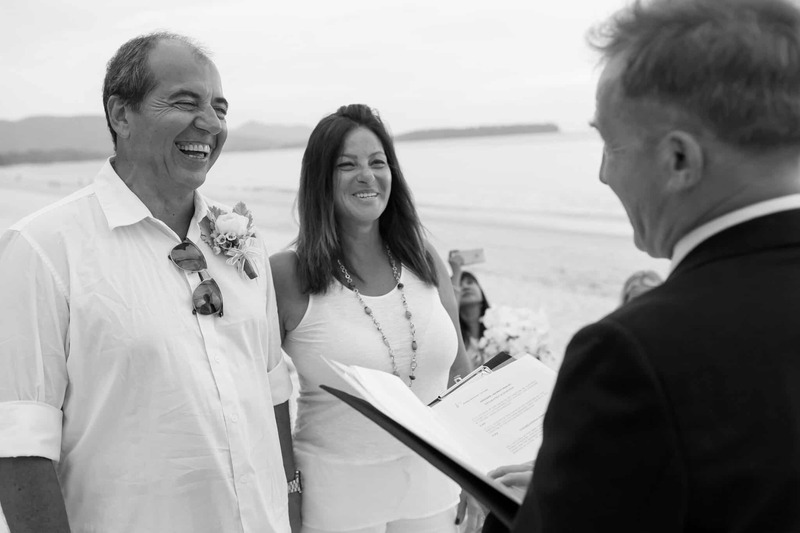 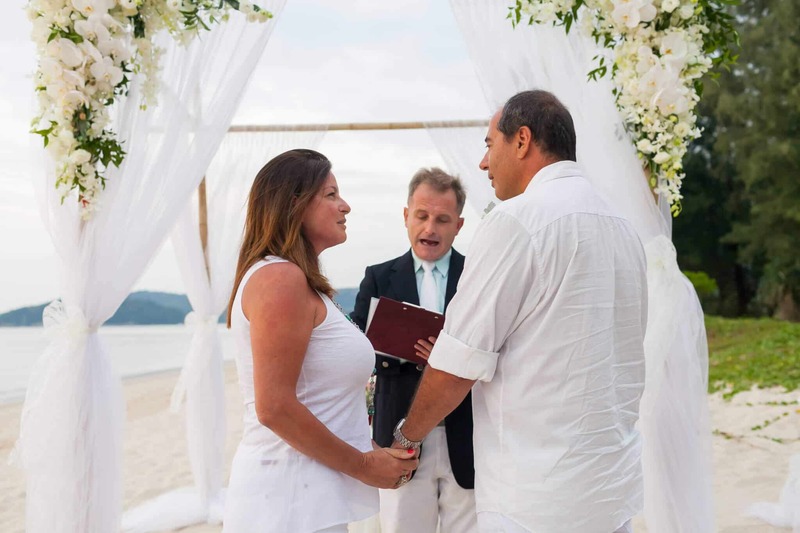 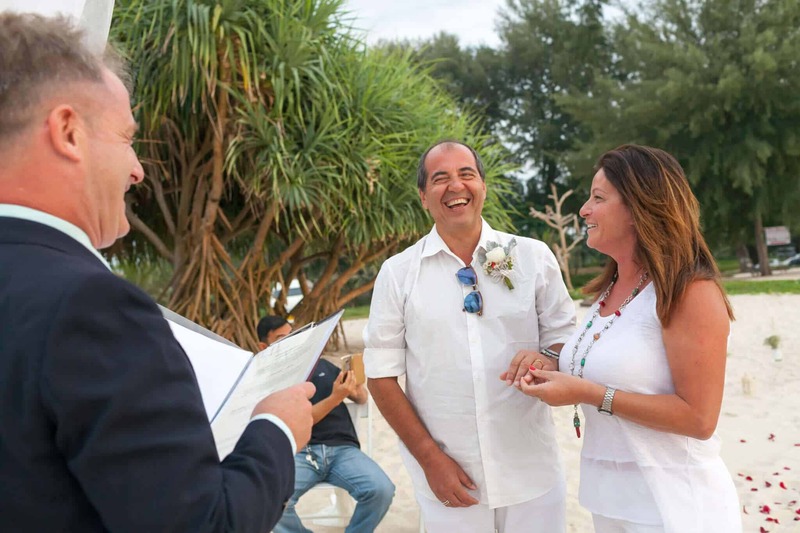 Thank you to Julio and Mariel for guidance in the creation of the Wedding Vows and we had a great Beach Marriage Ceremony for this lovely Argentinian couple who had travelled halfway around the World to be at this beach for this special occasion. 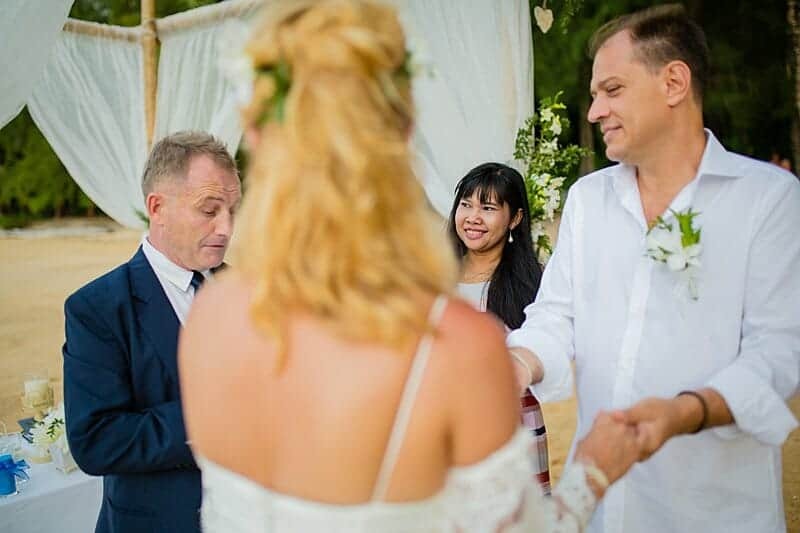 It was a privilege and honour to help with the surprise and a wonderful Wedding Ceremony with just Mariel has a witness. 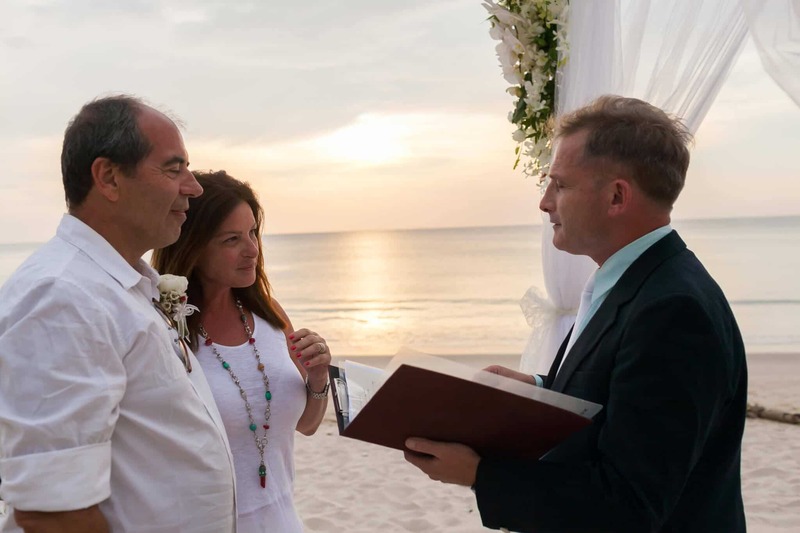 There was not a dry eye on the beach and it was a beautiful Sunset as well.